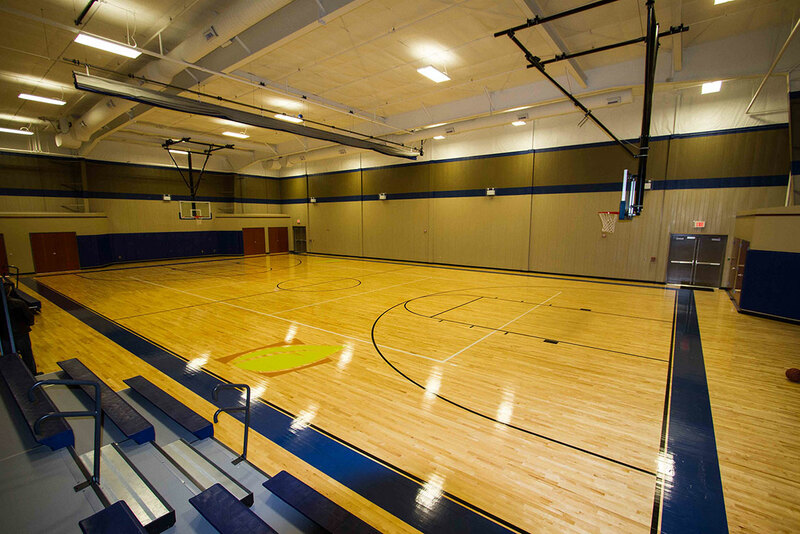 2 Stories with 24,000 s.f. 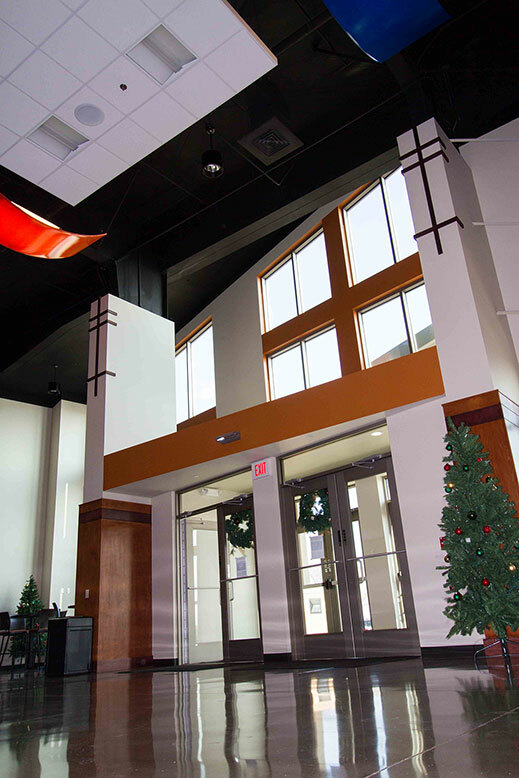 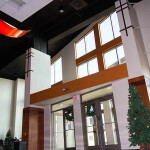 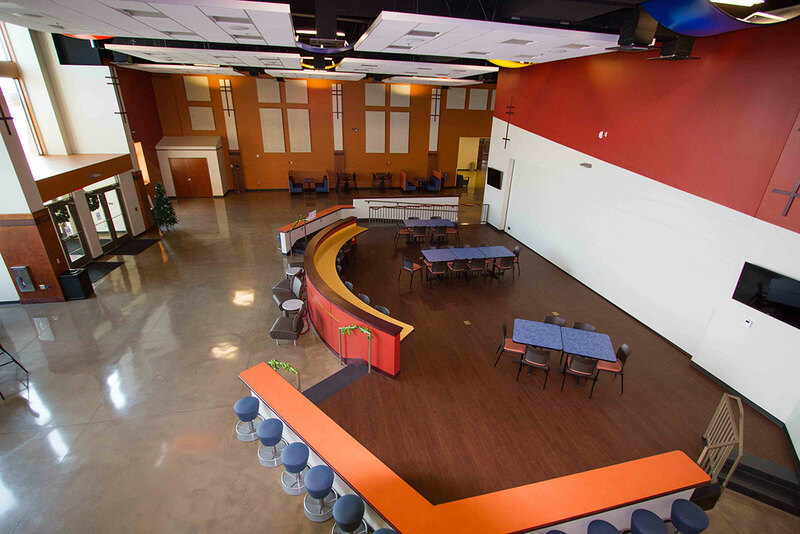 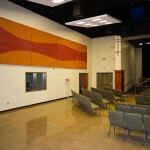 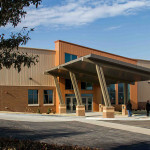 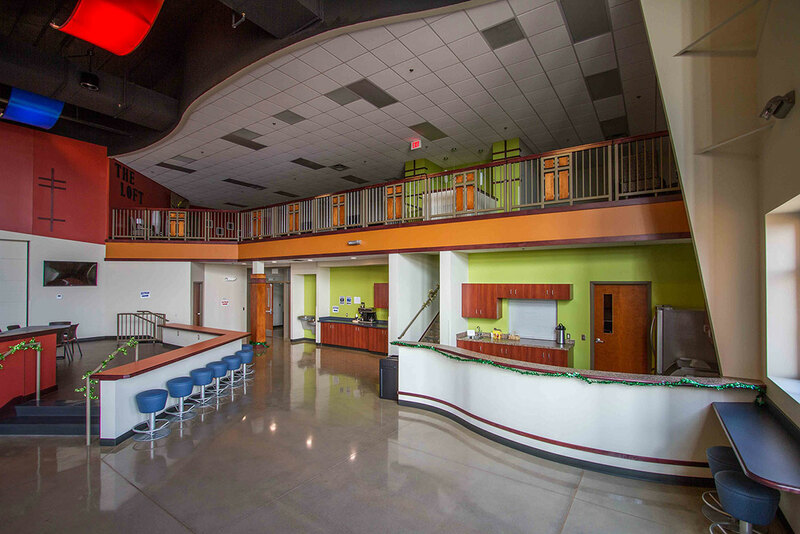 Attached to the north side of First Covenant Church, this pre-engineered metal building addition was designed to be a fun and vibrant space for the church’s youth to use for worship and fellowship. 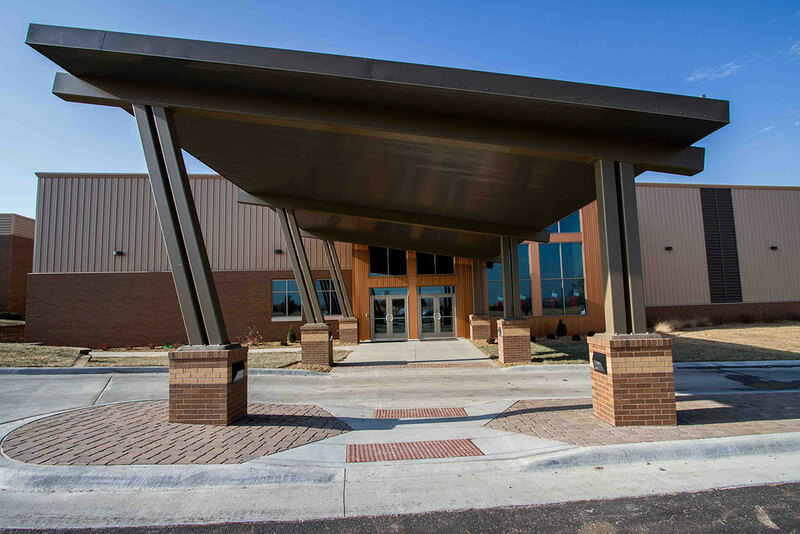 The exterior of the building features a unique, asymmetrical entry and drop-off with bright, copper-colored metal panels that complement the existing church. 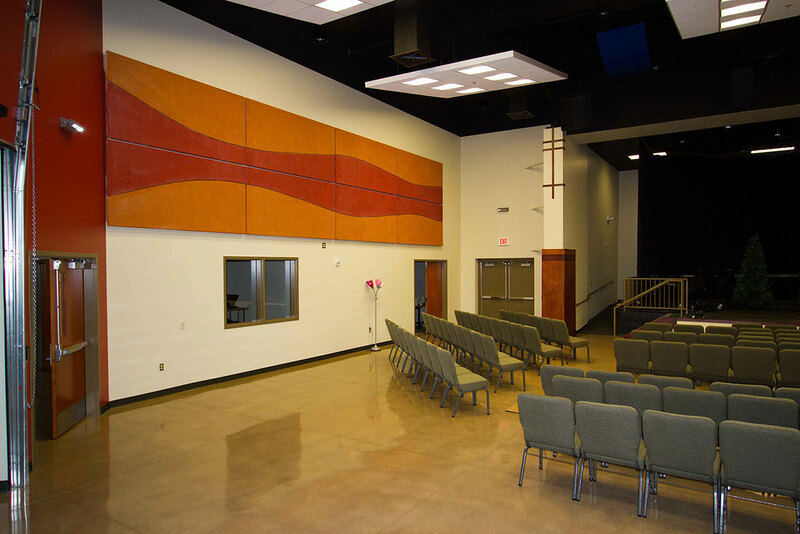 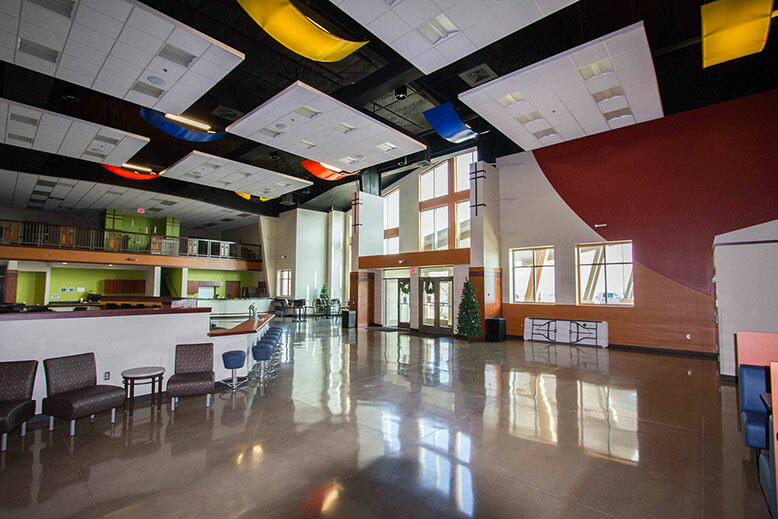 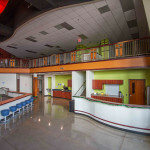 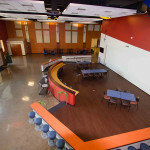 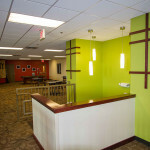 The interior spaces consist of vast open areas to be used for a range of activities including: recreation, small and large group discussion, worship, and other social events. 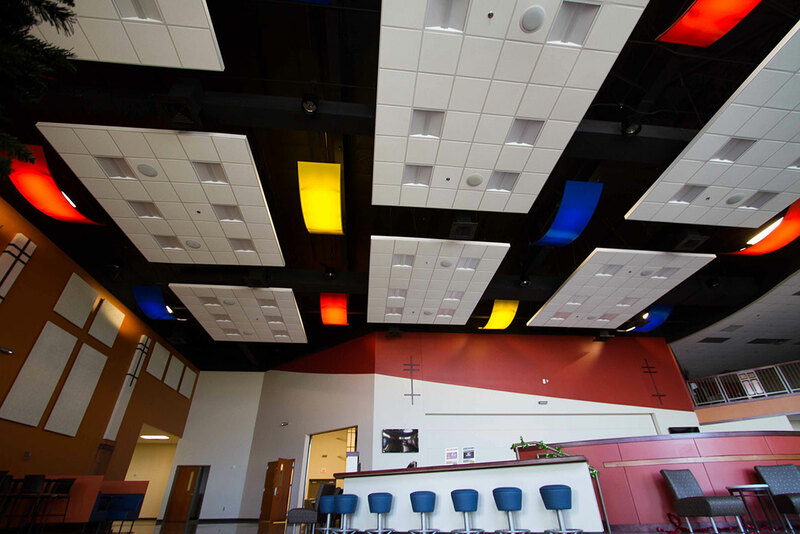 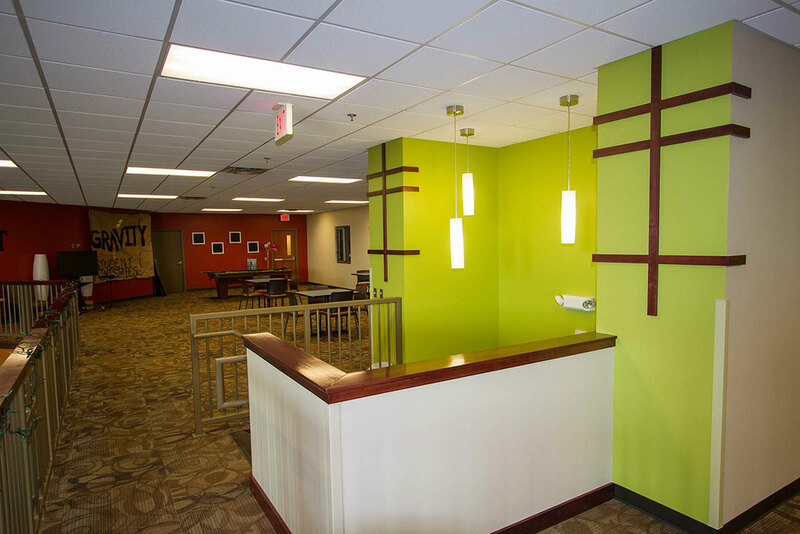 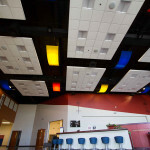 The exposed ceiling structure in the fellowship area showcases a group of suspended acoustic clouds dotted with refreshing pops of color throughout by the use of bowed multi-colored light fixture covers. 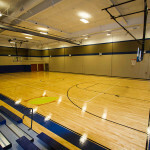 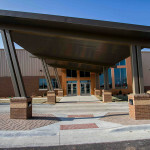 The facility also houses 6,000 square foot gymnasium with a full size basketball court and retractable bleachers that can seat +125 spectators.